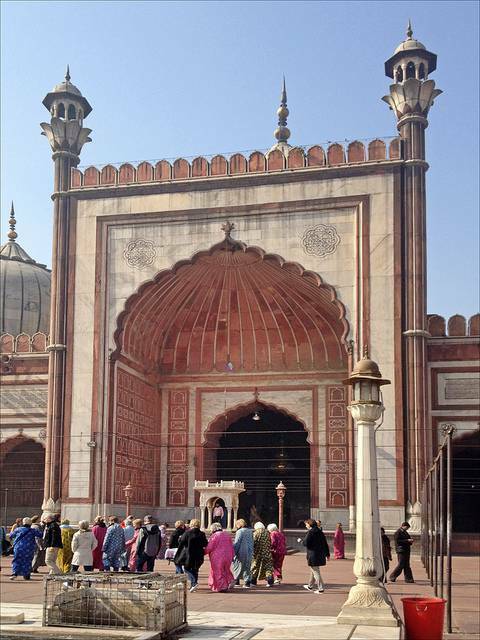 The largest mosque in all India, Jama Masjid is a focus of the old city. Like the Taj Mahal, this mosque has four turrets, although it is more the color of the Red Fort. From the southern tower, the view reaches for the slums and palaces of Delhi. Dress modestly; head, legs and shoulders should be covered. The mosque is open until sunset, with the exception of prayer time between 12.15pm to 1.45pm.